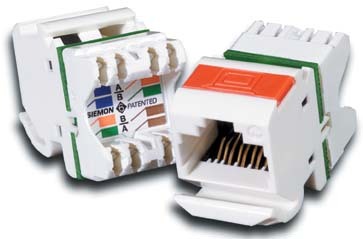 There is two types of Cat5e/Cat6 to choose from either, STP or UTP. STP- which stands for shielded- twisted- pair designed for high secure data infrastructures for MOD, and where high level of electrical noise is within the environment. Cat5e has taken over from the standard Cat5 cable. With enhanced built in features allowing for Gigabit data transfer across 2 and all 4 pairs. Please note that cheap brands are never the best options, due to the fact that true gigabit is never achieved because the manufacturers don't take every external element into consideration. With today's demand for fast business processes and reliable communication needs, with the ability to utilize next generation technology, you need Cat6. Cat6 has been designed for high bandwidth applications Gigabit Plus', a high ended solution exceeding all existing and proposed data standards for structured data cabling. For the business who wants to be market leaders, this is the fastest copper infrastructure you can install. 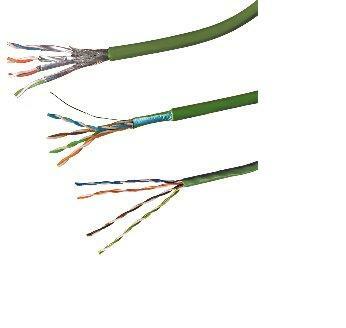 A backward compatible non-RJ45 Cat7 class F data link drafted at 600mhz is the very latest copper cable you can install to bring your network into the future and beyond. The system is capable of speeds up to 1 Gigahertz (GHz), and allows demanding applications such as streaming broadband video to operate smoothly. The class F cable is a four pair Fully Screened outer sheath with individual shielded pairs. Each pair is capable of 1 Gigabit per second throughput, totalling 4 Gigabit at 1 GHz. 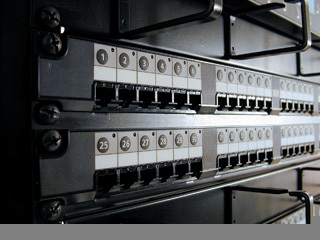 One cable allows for 4 simultaneous connections to voice/data network equipment or control equipment. This type of cable is become far more widespread throughout European countries and will soon be THE ONLY CABLE worth installing in your premises.